No Escape: Part 3 of 5 - Written by ED BRUBAKER. Art by BUTCH GUICE Cover by MARKO DJURDJEVIC. NOMAD backup Written by SEAN MCKEEVER. Art by FILIPE ANDRADE. 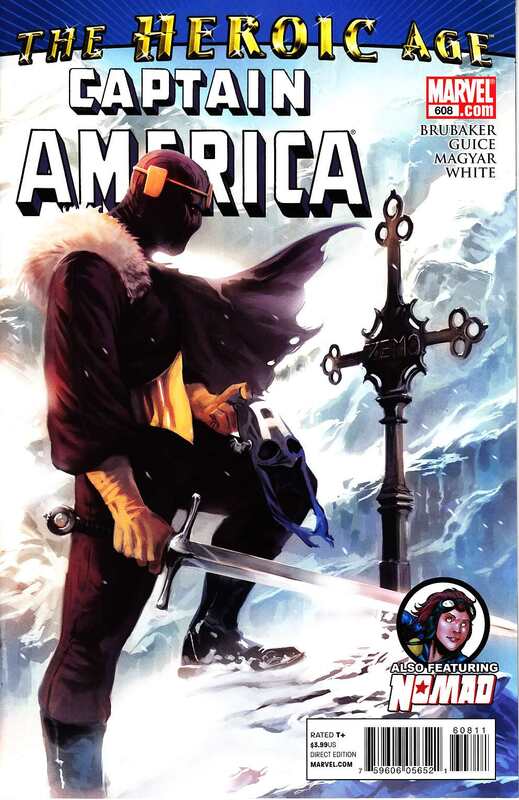 Baron Zemo takes his battle against the new Captain America to a new and terrifying level. And neither Bucky Barnes, or the readers will believe Zemo's last page revelation! By the senses-shattering team of Ed Brubaker and Butch Guice!